This months Malt of the Month has come form the beautiful and dramatic island of Skye. 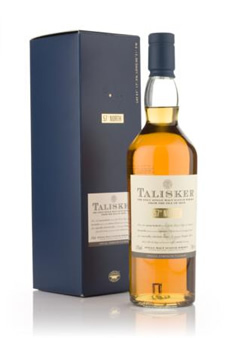 Talisker Single Malt Scotch Whisky – 57 Degrees North, No Age Statement – 57% Alc/vol 70cl. This malt is a distillery bottling at cask strength and is named after the latitude that the Isle of Skye sits upon. Whilst visiting this fabulous distillery last month Jim was given a taste of this very fine dram (amongst a fe w others) and found it to be sweet and peaty with a mouth coating quality, this dram means business and should not be taken lightly. Jim and Nicola will get a bottle soon and add it to our list of up and coming tastings, Jim canny wait. This excellent dram is available at your specialist Whisky shops, direct from the distillery and certainly on-line. 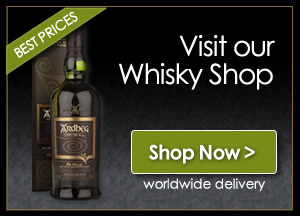 Do go and buy yourself a bottle, especially if you enjoy a robust peaty/smoky dram, you will not be disappointed.